Clare Strickland is a senior Neuroscience and Behavior major with a minor in Sociology from just outside Boston, MA. Clare joined PEMCo her freshman year at ND as an Assistant Stage Manager for Thoroughly Modern Millie. Since then, she has been a Stage Manager, Assistant Tech Director, Props Master, Photographer, and overall PEMEnthusiast for various PEMCo shows and events, though she credits her time as Stage Manager for Merrily We Roll Along as her most important PEMCo experience (so far!). 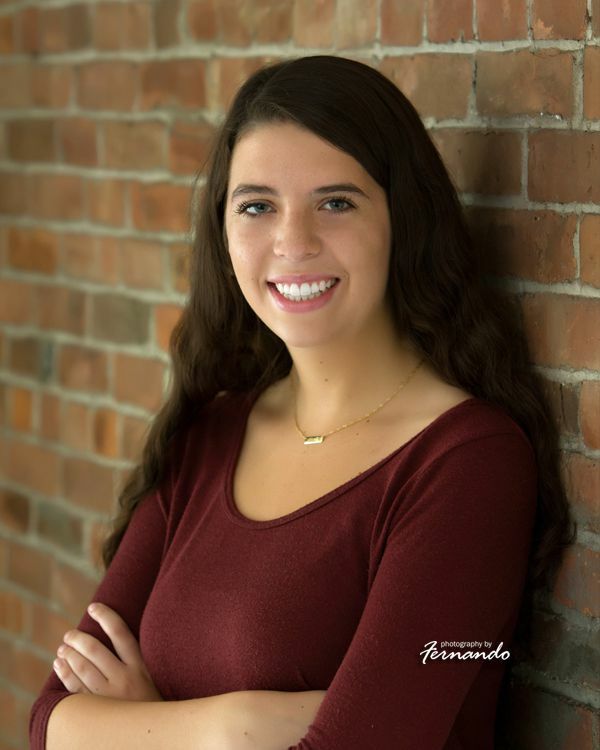 Outside of PEMCo, she is not okay with only having one year left at Notre Dame and has no idea what she’s doing with her life, so don’t ask her. Clare is a self-proclaimed crazy cat lady and a proud Masshole, who also plays on the Club Field Hockey team and pretends to know what’s going on in her classes, too. She is so excited for the 2018-2019 season and would be happy to answer any and all questions you may have about PEMCo! Mario is a Senior Accounting major from Detroit, MI. He has had the distinct pleasure of being involved in every single PEMCo performance since the fall of his freshman year, whether onstage or helping out backstage. Some of his favorite PEMCo shows are Merrily We Roll Along and Ordinary Days. Mario’s other activities on campus include performing in the Folk Choir, Rep Choir, Our Lady’s Consort, and the Gold and Blue Company. When not on campus, Mario can be found somewhere in Detroit on a construction site working for his family’s concrete construction business. He cannot comment on whether or not it is a front for the mafia. Mario is very excited to be PEMCo’s Production Managing Producer for the 2018-2019 season. If you have any questions about PEMCo or accounting or need something “taken care of”, feel free to reach out. Shane Dolan is a senior Business Analytics and Theatre double major from Garden City, New York and is absolutely thrilled to be the Artistic Producer for PEMCo this academic year! Shane got his start with theatre at Notre Dame as Mushnik in FTT’s Little Shop of Horrors, going on to perform in PEMCo’s 2016-2017 season with the roles of Joe Josephson in Merrily We Roll Along and Johnny Casino in Grease. You may have seen him this past year starring as Gordon Schwinn in PEMCo's A New Brain or as Moritz Stiefel in FTT’s Spring Awakening. Outside of PEMCo, Shane is an avid member of the Glee Club and participated in the Undertones for the last year and a half. He is excited to help bring PEMCo to the next level this year, producing phenomenal shows that leave audiences feeling not only entertained, but also transformed. Joo Yun (Rosa) Kim is a junior Computer Science major from Busan, South Korea, and she is extremely hyped to be working as the associate producer of PEMCo! She upholds the holy tradition of PEMCo >>> life and is a fan of telling people what to do. Rosa's been an avid fan of this Co. ever since her first semester at ND when she assistant staged managed Merrily We Roll Along. She went on to stage manage Grease and Nothing Without You: A PEMCo Revue, sound design for A New Brain, and light design for Urinetown. She is happy to talk any and all things PEMCo at all times! dancing and playing tennis competitively. Alison directed the musical Hairspray during the summer of 2016 through a local community theatre company and she cannot wait to make her PEMCo directing debut for the spring Mainstage show! Alison’s love for theatre began when she was 3 years-old and played a goat and a dancing angel in a production of Godspell Jr. Some of Alison’s favorite roles onstage have included Mame in Mame, Pepper in Annie, Ernestina Money in Hello Dolly, and Dance Captain in White Christmas. If you don’t see Alison at rehearsal, she is probably leading a tour, playing tennis, walking around the lakes, crying from laughing so hard, or hanging out with friends. Please feel free to reach out to Alison if you have any questions, want to get involved in the spring show and don’t know how to, or simply want to grab a bite to eat. She can’t wait for a great year with PEMCo! Kathleen "Kat" Van Vleet is the Assistant Manager of Washington Hall. She graduated from Notre Dame in 2002 and began working for the University in 2004. As a student, PEMCo did not cast her when she auditioned for Grease, but since spring 2012 she has been the group advisor, so she gets the last laugh. Most freshmen find her terrifying, but once you get to know her she's actually really nice. Just remember, keep your feet off the seats and the food backstage.